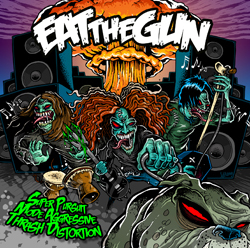 EAT THE GUN  brand new "Solitary Sinners" music video!!! “We are solitary sinners!”  One battle cry to rock the mob! 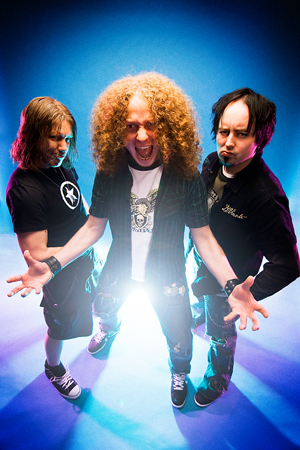 After having released their latest album “Super Pursuit Mode Aggressive Thrash Distortion” on March 13, 2009 EAT THE GUN have shot their first music video featuring the single "Solitary Sinners"! Besides their hometown Münster, Germany which served as scenery for most parts of the video the live performance was shot at the bands’ favorite rock club the Rock Café! EAT THE GUN are not mocking big arena shows with speaker walls and fireworks but show you the true Rock ‘n’ Roll reality of the day! Watch the video on TV Roxx, MySpace, YouTube and different TV-Metal & Rock Shows all over the world. Don't miss EAT THE GUN in reality live on stage on their upcoming tour this fall!! CONTRADICTION announce album cover and tracklist!!! 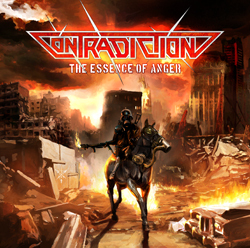 “The Essence of Anger” the new thrash metal 20th anniversary masterpiece of Wuppertal’s cult band CONTRADICTION will be released on September 25, 2009. Limited Access Records and the band go ahead and release the cover artwork by Jonathan Stenger (MurkyWaters.de) and the track list! Guest singer Leif Jensen of DEW-SCENTED will be the only musical guest on CONTRADICTION’s upcoming album. The release party and show for "The Essence of Anger" will be on October 9th at the LCB in Wuppertal, Germany. Their buddies Naked Frenzy and Aardvarks will support CONTRADICTION. THE MYSTERY are confirmed to perform live at the Rollfeld des Grauens & der Finsternis Open Air at the airport Grafenhein near Dresden! Headliner of the festival will be OOMPH!!!. There will among others be live performances of Mono Inc., Staubkind and Schattenspieler. 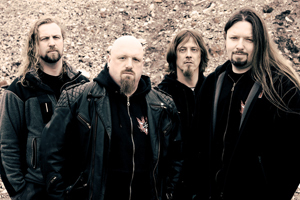 THE MYSTERY are on the schedule of the fourth Börsencrash Festival on October 16th! Also present will be our youngsters WITHOUT WAX who are going to show the crowd how they rock! We are also proud to announce that MOB RULES and POWERWOLF will headline the festival. Furthermore THE NEW BLACK und MOTORJESUS are announced to play. More news on www.boersencrash-festival.de! On November 07th THE MYSTERY will share the stage with PRIMAL FEAR, BRAINSTORM, GRAILKNIGHTS and DAWN OF DESTINY at the Rocking Stones-Festival in Bruchhausen/Olsberg, Germany. Furthermore THE MYSTERY entered different internet radio charts. "Bad Blood" and "Unready To Die" and "Suicidal Thoughts" are on top-positions in vary online-radio-charts like Radio Mean Variation, Schwarzen Welle and Radio Schwarzes Brandenburg.